Recently I have been digging around and found alot of my oldskool drawings and journals dating back when I was in kindergarden! So what I’ve decided to do is make a weekly contribution to some of my eepmon oldies. 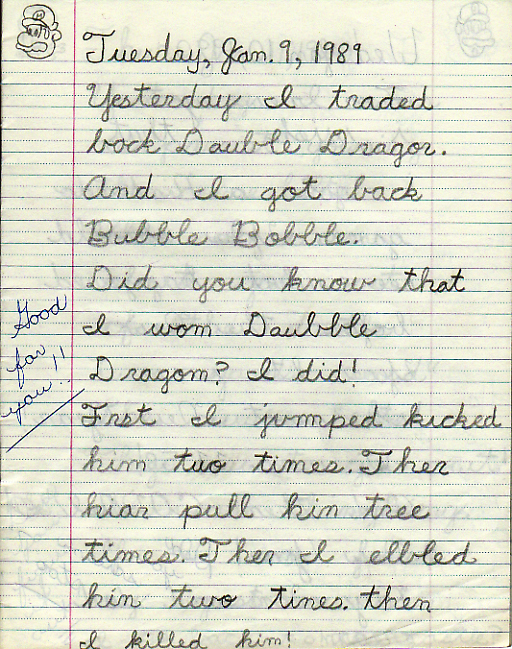 Let me start off with this week with a journal I wrote back in grade 3… Enjoy!